Join us for our first workshop of 2019, BASICS OF OIL PAINTING WITH LIZET DINGEMANS. This course is aimed at artists who are unfamiliar with oil paints, and are looking to expand their knowledge in the tradition of oil painting from life, in an atelier environment. You will explore setting up a painting, as well as colour mixing and drawing with paint. The Basics of Oil Painting is a 2 day course focussing on learning the basics of naturalistic oil painting. Students will learn how to set up an oil painting, wet-into-wet as well as wet-on-dry techniques, manipulating oil paint using different brushes (hog vs synthetic) as well as the basics of naturalistic oil painting from life (drawing, grey values, edges, etc). Students will complete 2 oil paintings in 2 days. The goal is not to have a finished painting, but to gain confidence in painting in oils. Beginner level. Senior Tutor at London Atelier of Representational Art from 2015. Launching on 20th November at Old Brompton Gallery, London an exhibition of recent work including work from Jason and other Charles Cecil Studio alumni artists. 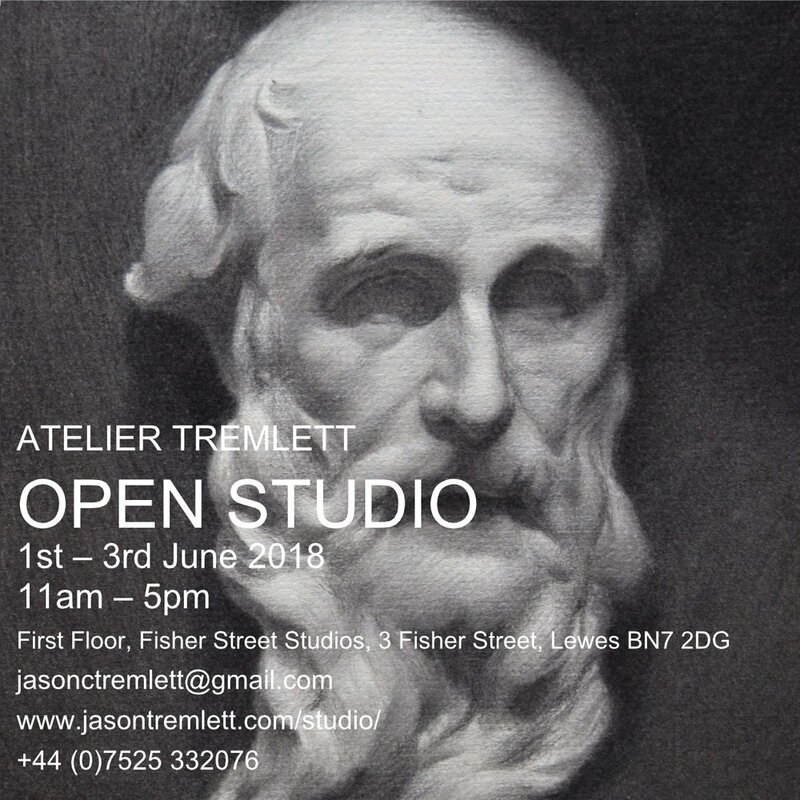 Currently on show 2 minutes from the studio is a small scale solo exhibition of works by Jason Tremlett at the lovely Patisserie Lewes Cafe. This exhibition presents a series of small oil sketches painted Alla Prima directly from life. A collection composed of still life compositions, figure studies and landscapes predominantly from the surrounding Sussex landscape where the artist lives and works. The term ‘Alla Prima’ is derived from an Italian phrase meaning ‘at first attempt’, it is also known as ‘direct painting’, ‘au premier coup’, and is a one-layer painting technique in which the painting (usually painted from life) is completed in one sitting or while the paint is still wet. On the 18th August - 2nd September of this year we opened the studio for #lewesartwave in conjunction with @tok_gallery. The exhibition featured exciting and challenging work from mid-career and established artists. Exhibiting a selection of works from trained realists to RA Alumini hailing from Sussex, London, Berlin and Florence. 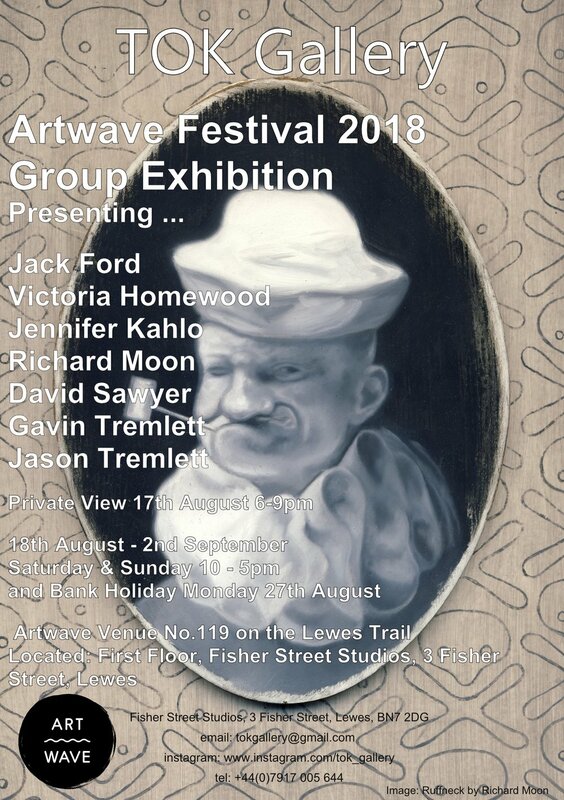 Featured Artists: Jack Ford, Victoria Homewood, Jennifer Kahlo, Richard Moon, David Sawyer, Gavin Tremlett and Jason Tremlett. Pleased to have been added to the listing of ateliers on the realist art resource website. The website is, as its name suggests, a very useful resource for realist artists. Please visit us for our annual open studio. We open doors to visitors from Friday 1st June to Sunday 3rd June from 11am - 5pm. The informal exhibition will showcase the best student and teacher work made over the academic year. Drinks and light refreshments will be provided. Students initially draw from plaster casts and the figure model in sustained poses over multiple sessions developing their eye to see. Once the required level of proficiency is obtained students move into into oil paint. Students will begin with smaller portrait and still life projects before moving onto larger more challenging compositions. *Prices do not include model costs which are in addition. Prices valid as at 01/03/2018. **A 10% discount is available to those paying for a term in advance (provided that at least 1 session per week is booked for the entire term). From 19th August - 3rd September we open the studio for #lewesartwave in conjunction with @tok_gallery. There will be opportunity to purchase studio and non studio work through the gallery, also to discuss the studio, its philosophy and working practices. Congratulations to student Anton Cataldo who was recently awarded a QEST scholarship to study in the studio for a year. Anton is a practising artist who previously studied at Chelsea College of Art.